Enjoy a comprehensive overview of historic Bethlehem and around on this 8-hour private tour. 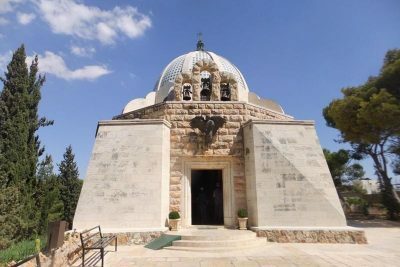 You’ll visit religious monuments, including St. George’s Monastery, Mar Saba Monastery, the Church of the Nativity, the Church of St. Catherine, the Milk Grotto Shrine, the Cave of St. Jerome, and Shepherd’s Field, where the angel appeared to the shepherds. Along the way, enjoy a falafel lunch and see some of Banksy’s graffiti art. 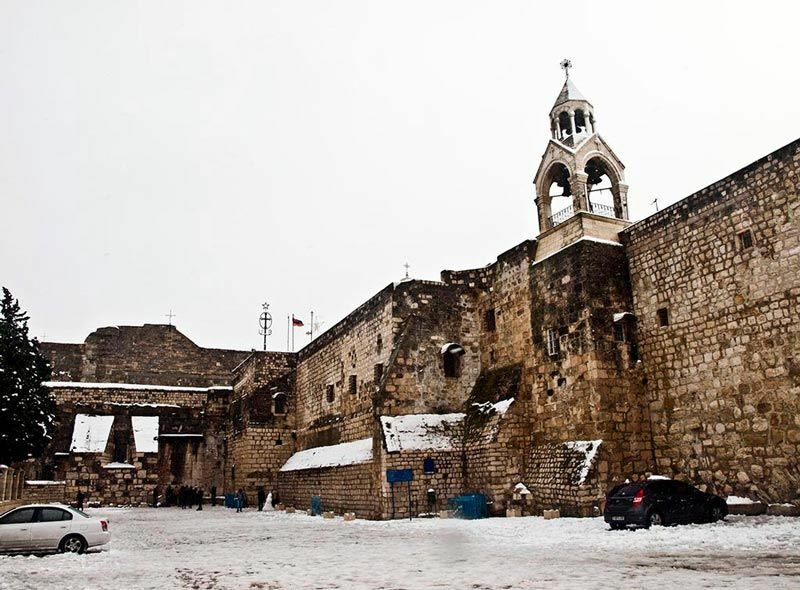 We meet at 8am your Bethlehem hotel or the Bethlehem side of Checkpoint 300 if coming from Jerusalem: Checkpoint 300 is about 30 minutes from Damascus Gate by bus. 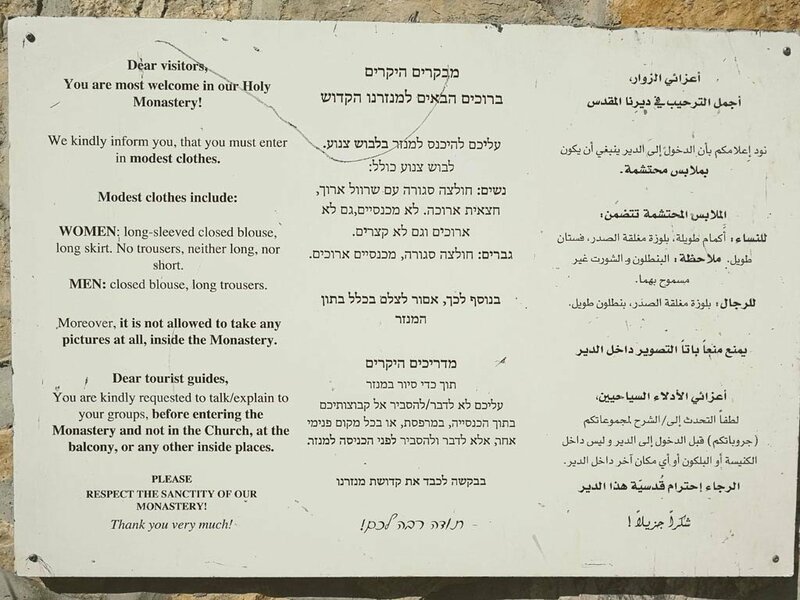 Women should dress modestly and bring a scarf to ensure admission to St. George’s Monastery. 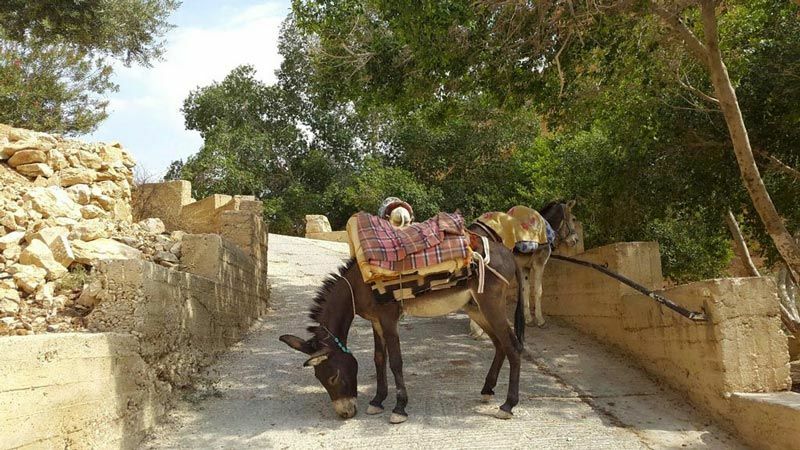 Relax in air-conditioned comfort as you drive for around 45 minutes to St. George’s Monastery in Wadi Qelt. 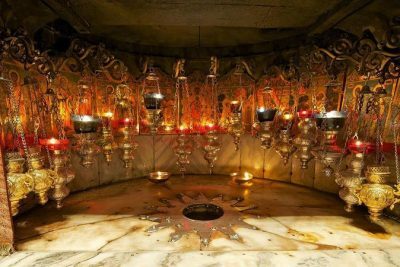 Along the way, you’ll pass by various religious sites: St. Theodosius’ Monastery, where some believe the wise men hid from Herod the Great after they visited the baby Jesus in Bethlehem, and al-Eizariya, which many believe to be Lazarus’ Bethany village. Stroll a short way down Qelt Valley to reach the monastery, which dates back to the fourth century, when monks first settled in the desert. 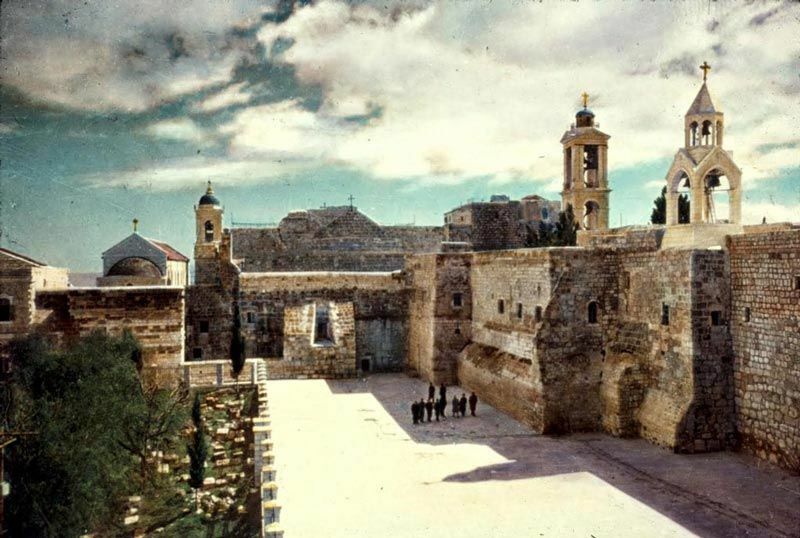 They believed the site was where the Prophet Elijah was fed by ravens. We will explore the complex before driving a few minutes towards Bethlehem to Mar Saba. 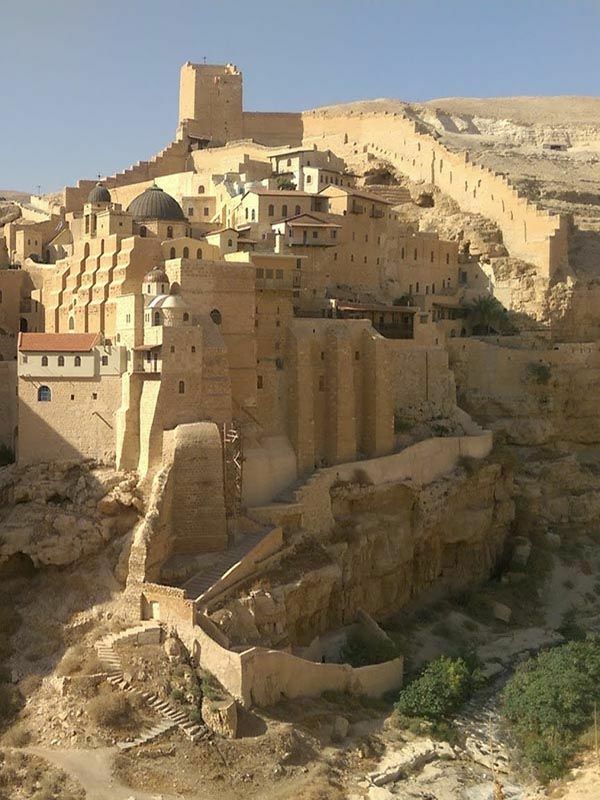 The largest monastery in the Jerusalem Wilderness, Mar Saba Monastery dates back to the fifth century AD, and perches amid the southern cliffs of the Kidron Creek. 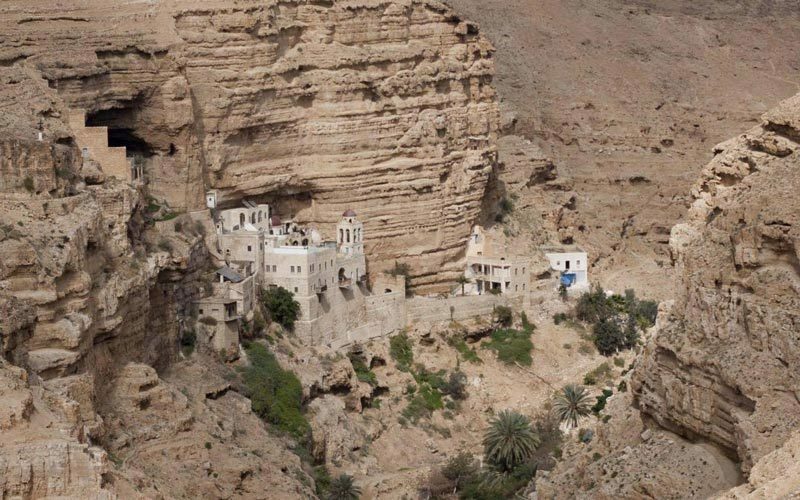 Founded by Saint Sabas (Mar Saba in Arabic), it’s been extensively expanded and fortified over the years. Please note: women are not allowed to enter the monastery. 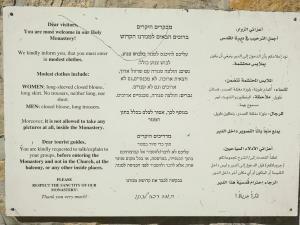 Everyone will enjoy a panoramic view of the site, but only men will be allowed to go inside and tour the monastery. 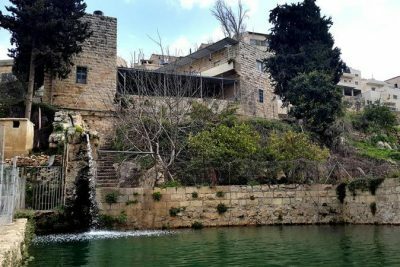 Your next stop is Beit Sahour, considered the city of the shepherds. Visit the Shepherd’s Field, where the angel appeared to the shepherds and told them about Jesus’ birth, then drive to a local restaurant for a classic falafel lunch. 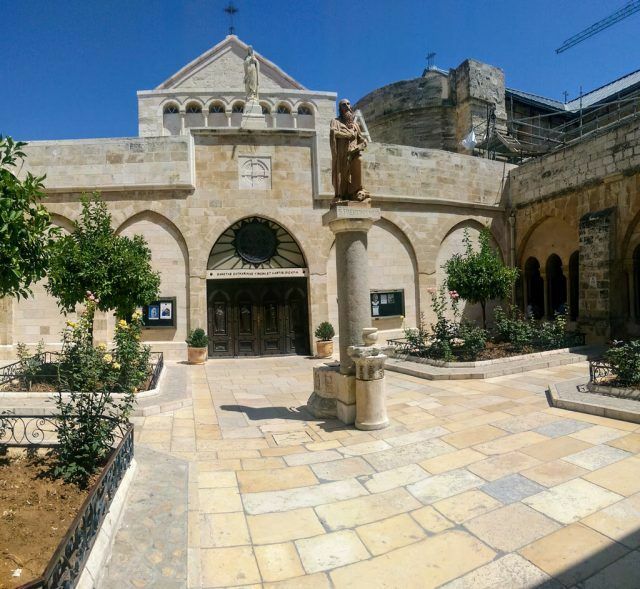 From here it’s not far to Bethlehem proper, where you’ll start at the famous Church of the Nativity, a UNESCO world heritage site that was built on the spot where many believe Jesus was born: it’s the world’s oldest church in regular daily use. 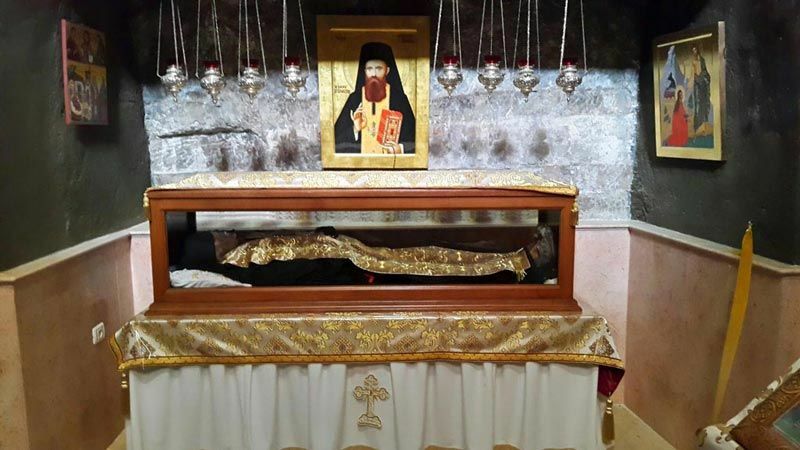 You’ll also visit the Cave of St. Jerome, below the church, where many believe he translated the bible. 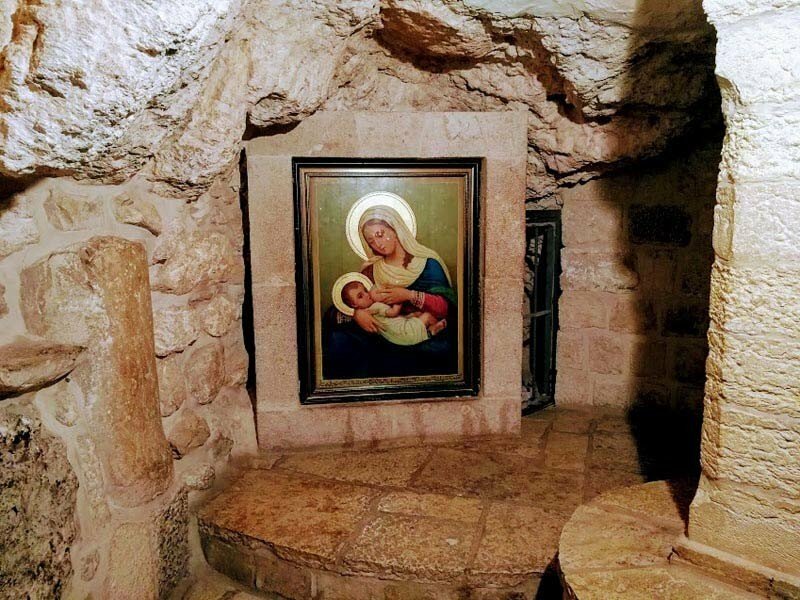 Finally, you’ll visit the Church of St. Catherine and the Milk Grotto shrine, and see Banksy’s graffiti pieces, before you drive back either to Checkpoint 300 or your Bethlehem hotel, where your tour will finish around 4 or 5pm.